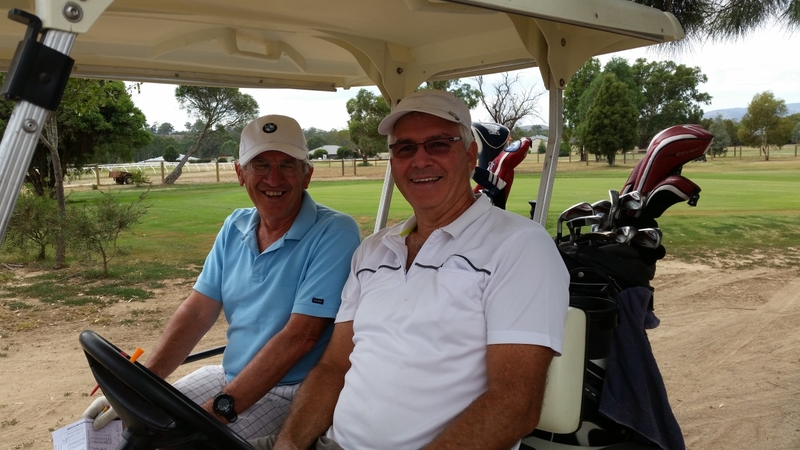 Club Captain, Gary’s buggy broke down so he hitched a ride with Jeff to learn a few tips! Jeff Aurisch continued his fine run of form taking out today’s Mens’ Stableford event with an amazing 45 Points (83 off the beater!) from Peter Williams (who enjoyed his best round ever) on 42 and Alan Pell on 40 Points. Jeff’s handicap is coming down ….just not as quickly as many would hope! The field of 12 players were pleased with the cloud cover and cooler than predicted weather conditions. The course was in great shape. Gary Pollard won the NTP on the 2nd and completed the birdie.